If you’re building a Jeep or other 4x4 for off-roading, you probably know the name Dynatrac™ and associate it with big, beefy, high-quality axle assemblies. But there wasn’t always a Dynatrac offering alternatives to junkyard rebuilds of Dana 44 and Dana 60 axles with patented, unique drivetrain products designed specifically for the way you use your vehicle off road. The company had very humble beginnings. A man with a need and a drive to offer something better than what was available. After a few years of breaking and repairing the factory Dana 44 front axle in his 1979 Ford F-250, Jim McGean began the search for a heavy-duty Dana 60 axle assembly that he could bolt-into his truck. 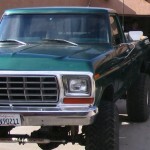 The oil embargo of the 1970s made fuel expensive and the larger, less-fuel-efficient trucks that came with these axles were few and far between. McGean turned to the aftermarket. What he found was that of the existing aftermarket axle manufacturers specialized in assembling rearends, and they typically did so with junkyard components. The companies had very little knowledge about building complete bolt-in 4x4 front axles with new parts. He was also surprised at the unwillingness and inability of these companies to answer questions about his project, as well as the poor overall customer service he received. McGean decided to build a heavy-duty front axle on his own. Within a year, his nights and weekends were spent building axles in his garage for off-road enthusiast friends. In the beginning, he simply did this to help offset the costs of the expensive equipment he had invested in to make his own. In November of 1988, Dynatrac became an official business open to the public. McGean specialized in building front axle assemblies, something the other aftermarket axle manufacturers had not yet fully embraced. McGean ran Dynatrac ads in several local publications, and by 1991 Dynatrac placed its first ad in Petersen’s 4-Wheel & Off-Road magazine. Late in 1992, Dynatrac moved out of McGean’s small garage and into a portion of a friend’s machine shop. Dynatrac absorbed all of McGean’s free time. He would wake up at 2am, just to build axles for a few hours every day, then head home to clean up before making way to his day job that was still paying the bills. At the end of the day he returned customer phone calls. His commitment to Dynatrac quality and customer service was just as deep as his commitment to making Dynatrac succeed, maintaining the mantra he still upholds today: Provide customers with the best information available, regardless of what products Dynatrac offers. By 1994, ten years after building his first axle, McGean was able to make Dynatrac his full-time day job, but it was still a one man show. As the years past, McGean watched many of the companies he once contacted about building a front axle for his F-250 switch from using junkyard components to using low-quality parts from China and elsewhere overseas. McGean stood fast, believing that customers appreciate products that that are made in the U.S., look and fit every bit as good as if they came that way from the factory and are backed by friendly, informative and helpful customer service. Never satisfied with standing still, McGean strives to develop new products that are ahead of their time to meet customer demand. The ProRock 60®, introduced in 2002, was the first high-clearance off-road axle of its kind. It was designed specifically for improved durability and performance off-road. Almost immediately after the launch of the Jeep Wrangler JK, McGean developed the ProRock 44™ as a solution for the front axle that was prone to bending and breaking as people modified the very capable vehicle. Not only did the ProRock 44 solve the strength and durability issues, but its patented design provided more ground clearance than a Dana 30 axle! This type of innovation comes naturally to McGean and the team at Dynatrac because they are enthusiasts who use their own parts. The ProRock 80™ followed in 2013, and was also looked at as extreme overkill, but it has quickly found a needed home under many heavy and powerful enthusiast 4x4s, military vehicles, and commercial mining equipment. Other innovative Dynatrac products include several Free-Spin™ hub conversion kits, heavy-duty DynaLoc™ locking hubs, and rebuildable Heavy-Duty Dynatrac Ball Joints™ among other components. Today, just as in the beginning, Dynatrac products are engineered in the U.S., manufactured using U.S., materials and assembled in the U.S. – a point of pride for McGean. Each and every axle goes through 117 different inspections during the assembly, ensuring unparalleled quality. McGean maintains a presence on the trail, in the shop and from behind the drawing board, pushing quality and innovation to new levels. Dynatrac specializes in seeing the needs of the off-road, military and commercial markets and continues to design solutions to fill those needs.